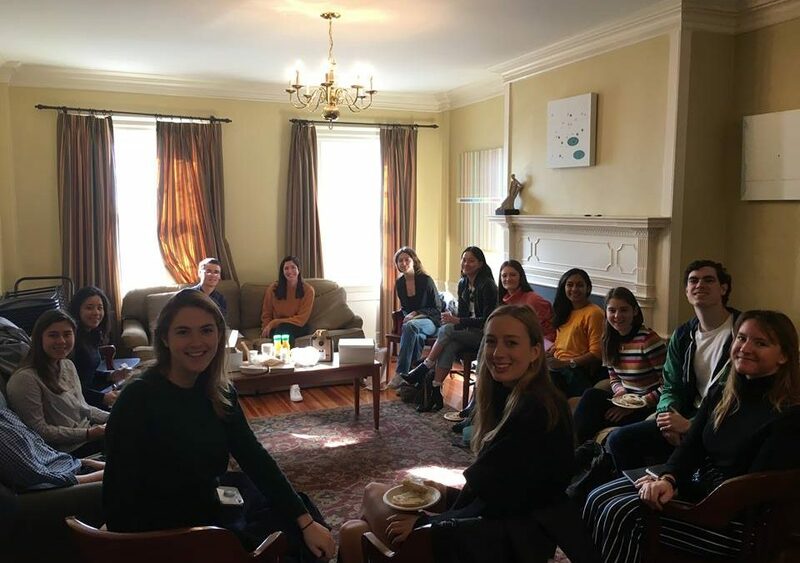 On October 30, 2018, The Nelson Center for Entrepreneurship and Brown EP hosted Steph Korey ‘09, co-founder and CEO of Away, for a roundtable discussion as part of the Roundtable Discussion Series moderated by Chuck Isgar ‘20.5. Participants at the roundtable were excited to learn more about Away, as well as Korey’s prior experiences. After an hour of close discussion, students walked away with valuable insight into building a successful direct-to-consumer brand. Korey shared practical advice about the importance of gaining in-the-field entrepreneurial experience before launching a company. Participants were interested in Steph’s experience launching a direct-to-consumer (D2C) brand. Being a D2C brand has allowed Away to bring their various luggage products to consumers at a lower cost than if they used a retailer to sell their products. Cutting out the middleman is only one part of the advantage of being a D2C business. Very importantly, by being a D2C brand, Away owns their customer feedback and relationship loop. As a customer-conscientious brand, Away heavily uses input from customers to tailor future decisions. While the D2C model has worked well for Away, Korey explained that running a D2C brand has its host of challenges, most notably the fact that many operations must be done in-house, such as the web platform for selling product, user experience design, and more. Away is highly regarded for its effective marketing strategy. Korey attributes much of Away’s branding and marketing success to her Co-Founder, President, and Chief Brand Officer Jen Rubio. The principle behind Away’s branding is quite simple. According to Korey, they “treat people like people.” You’ll never see an Away product say ‘best in the world.’ Rather, their branding and advertising takes a focused effort to connect with people who care about experiences. Korey explained that their customers don’t have any one thing, such as age, in common. Instead, the Away brand focuses on tapping into traveler’s shared passion for the unknown. Away is a travel brand, not merely a luggage company. This notion was clear from the inception of the company. Korey explained that in the summer of 2015, when they knew they wouldn’t have inventory until the spring, they made a book about travel that customers could purchase in conjunction with a gift card that would be redeemable for a carry-on once the product launched in the spring. It was an impactful strategy for several reasons: it helped bring in orders before the product had even launched, and most importantly, it set a precedent that Away was a brand focused on travel, not just luggage. In discussing how Away raised its first venture round of fundraising, Korey explained that she and Rubio had a very carefully-planned strategy. In knowing that they would be meeting with many VC’s in a short period of time, coupled with the fact that the world of VC is a well-connected community, they arranged to meet with many VC’s in the course of one week. By doing so, Korey knew that they would create buzz around Away, and even ignite some “FOMO,” or ‘fear of missing out’, amongst venture capitalists. It worked. And this past June, Away closed on a $50 million Series C round. Participants at the roundtable wanted Korey’s take on how they can set themselves up for entrepreneurial success. Korey emphasized her belief in the value of gaining experience at growing startups before launching your own company. Prior to launching Away with Jen Rubio, Korey was the Head of Supply Chain at Warby Parker as the company grew from 30 to 300 employees. 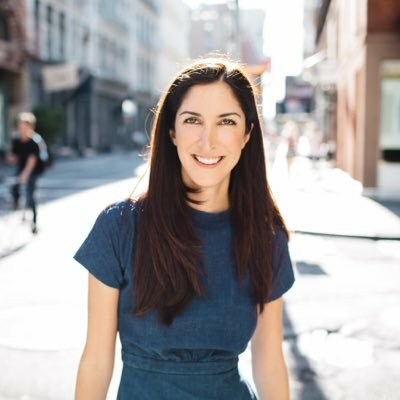 Following her experiences at Warby Parker, Korey consulted for Casper, of which two co-founders are Neil Parikh ’11 and Luke Sherwin ‘12. In these roles, Korey gained invaluable experience about building brands and companies, especially how to navigate the supply chain and waters of being a D2C business. Korey explained just how valuable every year of work at a startup is before launching your own business. Participants were interested about the types of startups at which Korey recommended they look into interning or working. While Korey didn’t recommend a certain industry, she did emphasize that you should seek to join a company led by founders with a strong vision for the future. She explained that over time, you develop pattern recognition when it comes to figuring out whether or not founders have a vision for the company. Korey has learned her fair share about trying to create a company culture from the inception of the business. Korey expressed that creating a clear set of values is very important. Everyone needs to be on the same page, and having established values will make this easier. Korey explained to the new and aspiring founders in the room that despite best intentions, drama within the company is inevitable, but you can learn how to minimize it. The group was eager to learn about what Away has planned for the near future. Korey shared that we can expect to see the brand and community platform expand in bigger ways. Additionally, you can expect to see a continued rise in the media division of Away. The company recently forayed into the media space with their release of Here Magazine. The early success of this initiative indicates that media production could become an important component of Away’s efforts to create the ultimate travel brand. Korey warned entrepreneurs in the room that not everything is going online, and that roughly 80% of purchases still happen in stores. To this end, Away has been recently developing select in-person retail locations, including a new store in London. Korey is an advocate for having a vision and relying on your strengths to achieve your goals. When starting Away, Korey admits that she knew nothing about suitcases. She relied on her detailed knowledge of supply chain that she had gained in earlier roles. By having a vision and knowing what to ask for, she and Rubio were able to build the Away brand without very much product-specific knowledge. This serves as a valuable lesson to entrepreneurs who might be fearful to get going on their business due to a lack of product-specific knowledge. The roundtable was a special opportunity for participants to learn about the facets of creating a lasting brand, as well as the importance of connecting with customers. Korey helped students to better understand the pro’s and con’s of being a D2C business. Participants left the roundtable full of practical knowledge that will be beneficial as they plan their summers and years ahead. Most importantly, they walked away inspired and excited about the many pathways that entrepreneurship can provide.